Tanglewood Numbers is the fifth full-length album by Silver Jews, released in 2005. Like on all of their other albums Silver Jews' principal song writer and constant band member is David Berman. On this album fourteen other musicians are involved in the performance and creation. Recurring band member Stephen Malkmus continues on from the previous album Bright Flight and Bob Nastanovich returns after appearance on Silver Jews' first full-length album Starlite Walker. Cassie Berman, wife of David Berman, also appears. The album's cover is a photograph by famed Southern photographer William Eggleston. Silver Jews was an indie rock band from New York City, formed in 1989 by David Berman along with Pavement's Stephen Malkmus and Bob Nastanovich. Berman remained throughout and was the only constant member. During the last few albums, Cassie Berman became a regular member of the band. They disbanded in 2009. Though often labeled as a Pavement side project, Silver Jews were actually formed at roughly the same time as Pavement. Berman has falsely quoted the band's name originating from the transcription of a billboard that he saw reading "Silver Jewelry", although he has stated in an interview that the name was actually intended to be a pseudonym for a conceptual art piece and later evolved into the actual band.http Others claim, however, that the name pays homage to Silver Apples, The Silver Beatles, and slang for blonde-haired Jewish people. On January 22, 2009, Berman announced via the official Drag City messageboard that he planned to retire from music and that the Silver Jews would play their final show on Bluegrass Underground at Cumberland Caverns in McMinnville, Tennessee at 3 pm on January 31, 2009.httpPitchfork Media article: "". The caverns are located 333 feet underground, and only 300 general admission tickets were made available. Berman stated that he would play his 15 favorite Silver Jews songs. He also wrote that his intentions are to move to "screenwriting or muckraking". He closed the entry by saying, "I always said we would stop before we got bad. If I continue to record I might accidentally write the answer song to 'Shiny Happy People'." Berman originally planned for the concert to be recorded and aired sometime in February 2009 on Nashville's famed WSM AM radio station; however, the day before the show, Berman posted on the Drag City message board to say that he had "negotiated out of the WSM part out of the deal. "Drag City messageboard thread with posts from David Berman (username DCB): "". The concert was documented by several 16 mm film cameras, and Berman has hinted at a possible DVD release of the show at some point in the future. 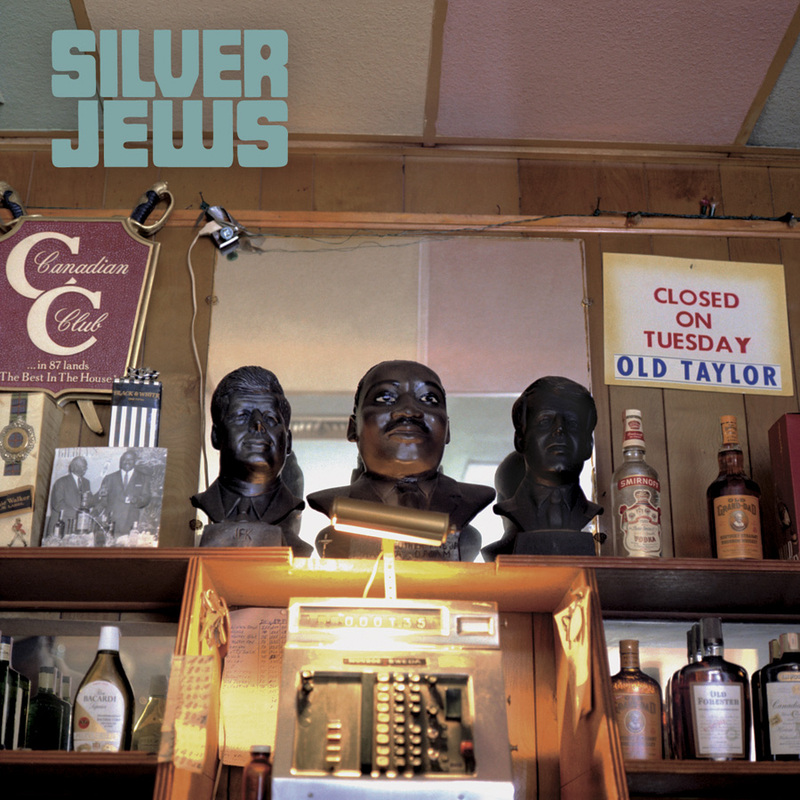 The last song that the Silver Jews performed live was "Smith and Jones Forever." Brian Kotzur (drummer) is the front man/drummer for Tim Chad and Sherry and also plays drums for Super Bowl Rocket Ship. William Tyler plays guitar for Tim Chad and Sherry as well. * The Arizona Record (1993) CD/12"
* "Dime Map Of The Reef" (1990) 7"
* "Send in the Clouds" (1998) CD/7"
* "Hot as Hell" (1999) CD/7"